You are here: Home / artist to artist / What Is Your Greatest Need as an Artist? Periodically, we pose questions to artists about issues they face in their work and lives. This month, we asked practitioners in a variety of disciplines, What is your greatest need, as an artist? My needs, if all things were possible? 1. 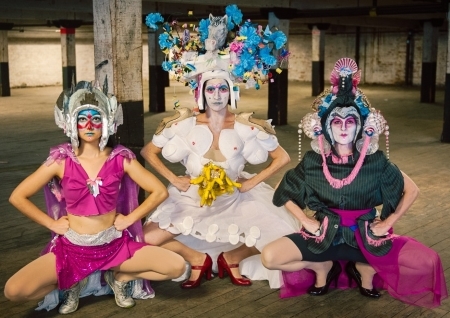 Funding that would be earmarked specifically for dancers to engage in new work. Residencies might include a stipend for the choreographer but rarely pay for dancers. Because I cannot get enough time with my dancers this season, I am working on a solo. 2. Consistent access to space and more performance venues that are supportive and equipped to produce dance. A crew. Someone other than my husband to climb up and down ladders. 3. Administrative support to help enhance work flow. Someone to help increase outreach, search for opportunities, and fundraise. A dream is to have a production assistant. 4. Lifestyle support: Food stamps for artists. A guaranteed minimum income for the process, not just the products. Health insurance for artists. Affordable continuing education. In sum, less intermittent support and more ongoing, lifestyle support. I’m a fiction writer and poet. My greatest need is ways to connect with readers. Happily, I’m in a stage of life when my most pressing needs are no longer time or money. But I want to see the books that I finally have time to write get into print, or get read, or even noticed somehow. Commercial publication of fiction is a narrow funnel, except for certain formulaic genres, and agents look to meet specific marketing needs. Newspapers, a declining industry in which I’m partially employed, review few books. After my novel Suosso’s Lane was published a year ago by a small independent, I find most of its readers myself through public programs at libraries. Many of the fiction writers I know publish their own books and sell them on Amazon. Poetry is an even more self-contained universe. I’m not proposing any solutions here, just stating a need: How do we get read? As an artist-professor-parent, I structure my life around building and maintaining artistic momentum. Momentum arises from consistent and focused time in the studio (including that hour before class or late night after our family dinner). It is also fed by important conversations with artist friends and with students. For me, as a painter whose work is based on responding to contemporary museums, it is vital to my work to spend time with other artists’ work that I find moving and important. Recently, as part of BADA Second Saturdays, I hosted a conversation event at Alpha Gallery about what artists look for and gain from seeing work in person in the context of the museum. Many of us spoke about how the role of the museum has shifted to symbolize a space apart from fast-click looking. If I have to work quickly and efficiently in the studio, momentum for me includes time to slow down to look on a more critical level and feel highly present with what I am seeing. As I start a new body of work, the momentum I seek also includes connecting more broadly to other artists, and feeling that I’m doing my part to give voice to the importance of art and culture at a time when funding and support are under threat. Outside of the daily search for time and space to write, having mentors has been vital to my writing life. Mentors – writers who have read more, written more, and of course experienced more – can give you career advice and feedback about your writing, detailed as well as overarching, in ways that your peers cannot. I’m grateful to have had a range of extremely supportive mentors both in the literary world and outside of it. When I was an undergraduate at UT Austin, Martin Kevorkian, Judith Kroll, Joseph Slate, Oscar Casares, and Ian Hancock – scholars, poets, fiction writers – all gave me the language to talk about writing with a close eye and ear. These professors encouraged me through challenging times and guided me through the dizzying MFA application process. I attended Boston University where I studied with Robert Pinsky, Louise Glück, and Rosanna Warren, all of whom pushed me to pursue writing, first and foremost, in an organic way. Many writers encounter these kinds of supportive relationships through school, but I think the important conversations continue outside of an academic setting. Casual conversations about poems, outside of the professional world of poetry, are always a pleasure, a vital one. A studio space has been my greatest need as an artist for a quite long time. I have been creating most of my work on my bench underneath a loft bed in my little apartment. Because of this, I am constantly in a battle when it comes to the actual construction of the piece; between what I can really make in this space and what I truly want to create. Noise, dusts, and fumes have to be minimal in this environment, which sounds better for everyone’s health, but as a metalsmith, this limits opportunities to play with different techniques, scales, ideas and to go outside of the box. Having said that, this creative space issue made me focus on my technique, such as lost-wax casting, and also pushed me to try out different materials other than metal. I have tried having a separate studio space, and the only down side was that it was too far away for me to get to as frequently as I needed. In the near future, I am planning to move into a house with an actual studio space, where only my husband and our dog will be able to complain about my hammering. Dana Clancy has work in the group show All Things Great and Small at Geoffrey Young Gallery in Great Barrington (5/3-5/28, opening reception 5/6, 5:30-7:30 PM). 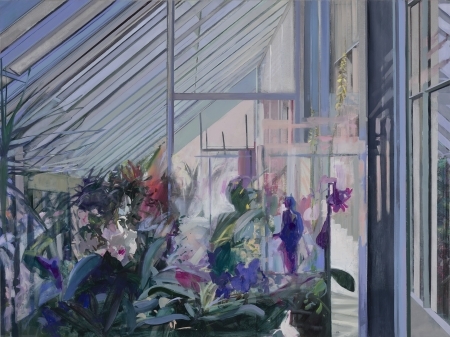 She recently had a solo exhibition, Sightlines, at Alpha Gallery – read a Boston Globe review. Duy Doan recently won the Yale Younger Poet Competition, selected by Carl Phillips, for his manuscript We Play a Game. Yale University Press will publish We Play a Game in April 2018. Duy is the director of the Favorite Poem Project. Robert Knox discusses his novel Suosso’s Lane at the Ventress Memorial Library in Marshfield (4/13, 7 PM). He’ll read from his poetry collection Gardeners Do It With Their Hands Dirty at Plymouth Public Library (4/24, 7 PM). Currently, he has poetry published in Verse-Virtual.com, where he is a contributing editor. Michelle Marroquin is a dancer and performance artist whose training includes ballet, modern dance, Mexican folk dance, and Odissi Classical Indian dance. She premiered her most recent work Goddesses Descending at Park Hill Orchard in September 2016. 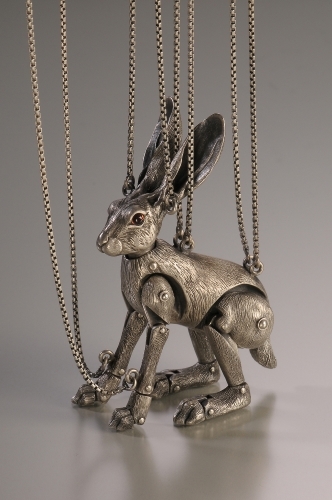 Metalsmith Yuri Tozuka has exhibited at galleries and institutions including Mobilia Gallery, Massachusetts College of Art and Design, Hancock 309 Gallery, and 24K Studios in San Francisco. Images: from GODDESSES DESCENDING, choreography by Michelle Marroquin, photo by Tracey Eller; Dana Clancy, WINTER WEIGHT (2015/2017) , oil over acrylic on panel, 36×48 in; Yuri Tozuka, BUNNY (2016), sterling silver, fine silver, garnet, coral, 17x3x1.5 in.